LL Cool J may indeed be hard as hell, but this is a battle for which he clearly didn’t prepare. He rocked the bells of my brain on his verse in Brad Paisley’s new song Accidental Racist. I’m saying though…really: “accidental racist?” The name alone is ludicrous. If someone was accidentally being racist and doesn’t stop the racist actions it’s no longer an accident! Now, I’m not upset that they made the effort. More effort needs to be made to address the vestiges of privilege and oppression still remaining in our society. I agree with Paisley that artists have a responsibility to fostering change in society. And to shoulder that responsibility, artists must be informed. Accidental Racist or Excused Ignorance? Accidental Racist is a misinformed attempt at a discussion on race that betrays Paisley’s own words. He says he’s not trying to rewrite history, but the lyrics of this song do exactly that! In Accidental Racist, Paisley makes an appeal to glorifying Confederate Culture. He makes that claim because he (and his generation) had nothing to do with the issues (i.e. slavery, lynching, KKK terrorism, etc.) that associated Confederate culture with racial tyranny. Yet, such a claim completely ignores the “Invisible Knapsack” of White Privilege. Such a claim demonstrates a complete misunderstanding of reality. Paisley claims that Whites are “still paying for a bunch of ‘mistakes’ that a bunch of folks made before” his generation came. First, those “bunch of folks” didn’t make “mistakes.” The Institution of Slavery and the system of Jim Crow segregation were the workings of intentional racists…not accidental racists. Further, he doesn’t say that his generation is returning the privilege their Whiteness has accrued. Paisley’s generation didn’t have to contribute to the issues that gave meaning to the Confederacy because the “blessings” of privilege have already been established and the “Progressive Investment in Whiteness” has long been solidified. He calls himself a “proud Rebel son,” and tries somehow to make that not offensive. Forget the racial overtones of notions of the Confederacy and Rebels. How about the fact that the Rebels were as anti-American as one could be? Did they not take up arms against their government? Did not the Rebels secede from the Union? Yet, right into that anti-American…anti racial tolerance expression, walks LL Cool J…completely oblivious to what’s happening around him. Don’t get me wrong: I understand why Paisley would reach out to LL Cool J for this. LL is the only of HipHop’s pioneers who is still relevant. I mean…he was in “Krush Groove!” He may not have Jay-Z’s money and social standing. But, LL Cool J was one of the ones who made it possible for Jigga to exist. So of course it makes sense for Paisley’s Accidental Racist to feature LL Cool J. As plain as that is to see, you’d think (I thought) LL would know better. For, Ladies Love Cool James comes onto the track and begins to show how misinformed he really is! Rather than an Accidental Racist, LL displays accidental ignorance. And that ignorance is irresponsible. 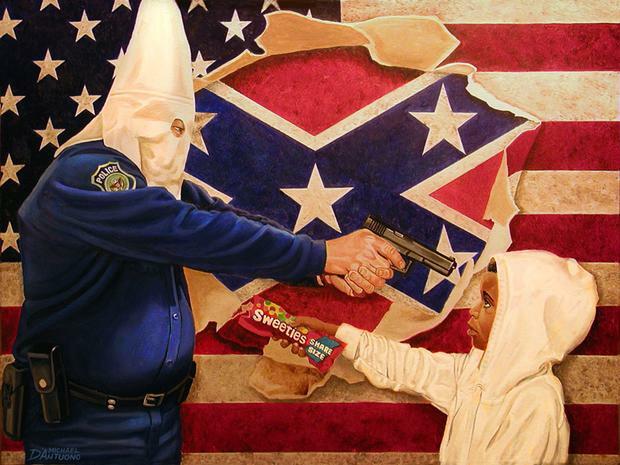 For instance, LL compares “do-rags” to the Confederate Flag. Really?! When have “do-rags” ever been responsible for rallying mobs to take the lives of White people? Meanwhile, the “Red flags” have raised countless orchards of Strange Fruits for the harvest. What kind of comparison is that, LL? Yet, he didn’t stop there. LL goes further to say, “if you don’t judge my good chains, I’ll forget those iron chains!” (Forgive me Lord, but…) WTF?!?! If you don’t judge my hoodies, I’ll forget your white hoods? So, LL Cool J is willing to forget slavery if White people will allow him to wear gold chains without scrutiny? C’mon son! You’ve got to be kidding me. The Emancipation Proclamation was issued a mere 150 years ago. We are less than three generations removed from the Plantation. A mere 50 years ago, Dr. Martin Luther King, Jr. and others led the March on Washington. Yet, the Accidental Racist further demonstrates his need for education by stating on Good Morning America that we should not be “victims of something that happened SOOOO long ago!” Rather than being a true friend and providing him with a much needed education, LL Cool J demonstrates his own need for an education by exclaiming his approval of that comment. The shortsightedness of LL Cool J’s lyrics is emblematic of an even larger problem: celebrities opening their mouths and speaking out without being properly informed. Now, true, we can’t have it both ways. I have been a critique of celebrities being silent on issues of social import. 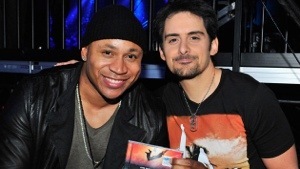 So, on one hand it is great that Brad Paisely and LL Cool J decided to approach this topic. Racism is far from dead and needs to be addressed if we are to ultimately kill it. But, the dialogue of the song does nothing to correct the Accidental Racist so that he might become a Intentional Anti-Racist. Artists do indeed have a responsibility to lead societal change. And to be responsible with that community trust, artists must take this duty seriously. That means not just being good at your art, but also being well-read and well-informed. If Paisely recognizes that he is an Accidental Racist, then he must use his art to encourage others to be Intentional Anti-Racists. And if LL Cool J is being asked to join his friend on this song and in this effort, then as a friend he has a responsibility to help restore his friend to wholeness…yet, LL simply serves to give cover to the Accidental Racists’ intentional ignorance. This is far more problematic because we are talking about LL Cool J. I mean LL dropped his first album in 1985, when HipHop was still “pure” and had purpose. 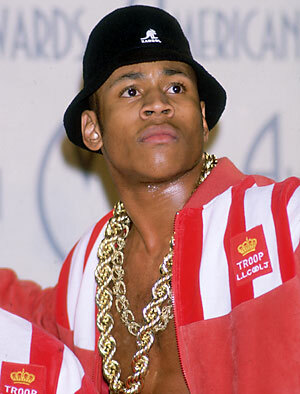 Before the deadly beefs and über misogynism, LL Cool J was part of the culture where HipHop was fun and informative. So, if LL Cool J can miss the mark when it comes to the responsibility of the art form, what are we to expect from the 2Chainz’s and Young Jeezy’s of the world? Maybe Canibus should have taken the mic off his arm, and protected LL from himself? HipHop and emcees must work to restore the community trust, and again become responsible stewards of the people and their legacy. We need artists who won’t be flippant with history and current events. Because of culture and the stains of culture, we are left with Accidental Racists, Accidental Misogynists, and Accidental Bigots of all sorts. Shouldn’t our task as artists be to bring some intentionality to undoing those vestiges of hatred?